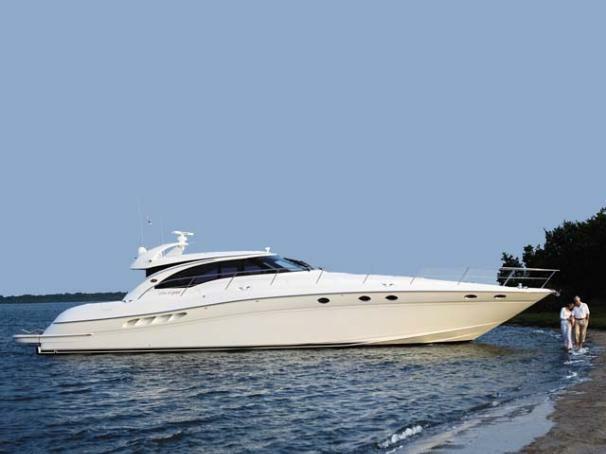 Boat Description Introducing the 680 Sun Sport, flagship of the Sea Ray line. Conceived, designed and produced by the yacht masters at the top-secret Sea Ray Product Development and Engineering facility. With luxurious accommodations that pamper your every desire and the awesome power of twin 1358-horsepower Caterpillar inboards, this yacht is pure art joined with technology. There`s simply nothing else in the world quite like her.